It's amazing how just how much can change within a year. I remember hearing whispers of "Fashion Revolution Week" in 2016, but at the time, I was fairly new to the ethical fashion movement and unsure how to participate. Fashion Revolution Week 2017 ended a few days ago, and I've been reflecting on the experience. 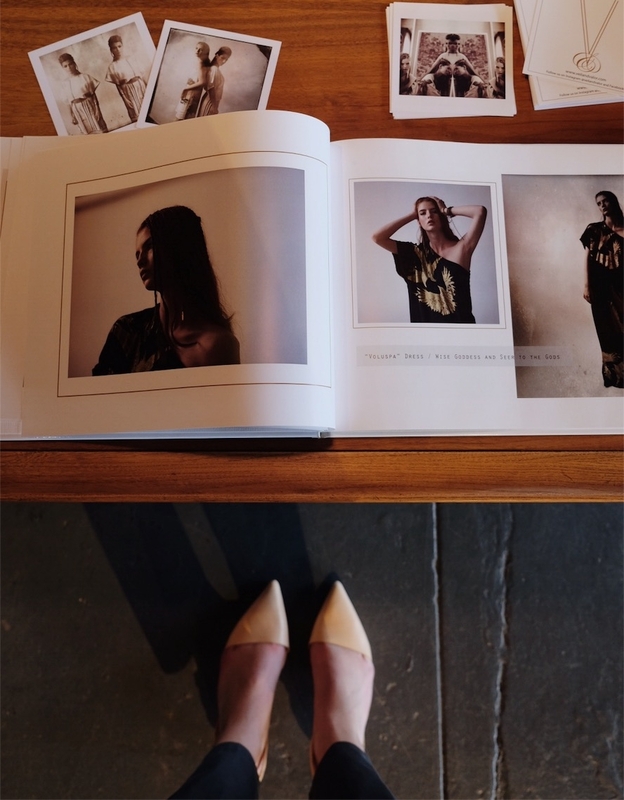 The week kicked off with Laptops & Smalltalk's Sustainable Fashion Forum in Portland. (See more photos of the event here!) I went to the event with my blogger friend Andrea which was so much more fun than going alone! 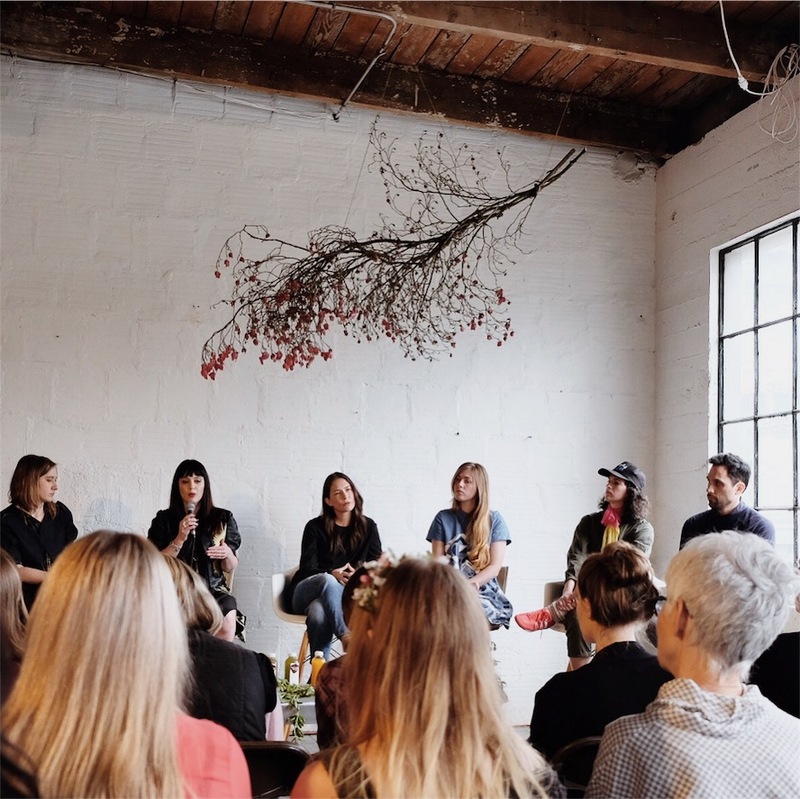 We ate tasty treats, perused collections from local fashion lines, listened to the insights of sustainable designers, and received valuable information on what sustainability truly entails in the fashion industry. There is always ALWAYS more to learn. I think that was my biggest takeaway from this event. Listening to a panel of people who work deep within the industry, I was struck by how many new questions came up in my mind. I'm still processing the information that I took in about sustainability, but it's exciting to know how many people are farther along in this endeavor than I am. I shared an interview with the team of garment workers for Conrado. (Read it here.) I learned that a family-run factory can truly be a family-like environment for those who work there. I shared an interview with Carmen from Nisolo. (Read it here.) I learned that happiness can be found right where you are. I shared an interview with Susan from Brevity. (Read it here.) I learned that it's never too late to learn something new. I shared an interview with Sylvia from Sseko. (Read it here.) I learned that great contentment can be found in any job. I shared an interview with Salmaan from Free Label. (Read it here.) I learned that the garment industry can be a rewarding field to work in for even the most intelligent minds. I shared an interview with Beatrice from Ubuntu. (Read it here.) I learned that the right job can be transformative for multiple areas of someone's life. These interviews have been the most personally impactful content that I've ever had the privilege of sharing. Though the interviews were shorter than my usual posts, every word carried so much weight. When we talk about ethical fashion, it can be easy to subconsciously lump the people within the industry into one big category. Sharing these interviews reminded me just how unique and valuable each garment worker truly it. They aren't just garment workers. They are dreamers, philosophers, and friends. They are as complex and dynamic as any blogger or business owner that is featured on this blog. Whether they stay in the apparel industry or move into another vocation, they deserve to be treated with dignity. They have skills and insights that all of us can learn from, and I am so thankful to be able to connect with them on this little corner of the internet. The whole idea behind participating in Fashion Revolution Week is to ask companies "Who made my clothes?" This year, I got to virtually meet the people who made my clothes and the experience has convinced me more than ever that changing the way we shop can change the world.